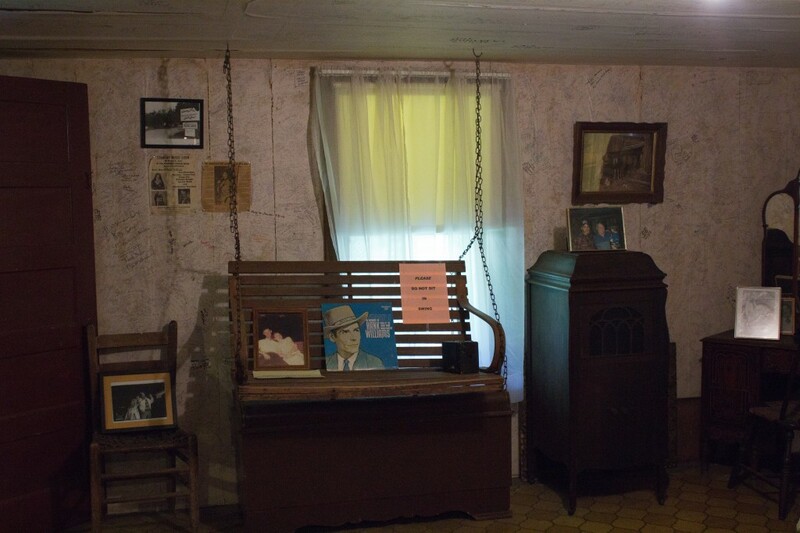 Down in a hollow, in the coal mining hills of Eastern Kentucky, lived Melvin and Clara Webb. Melvin and Clara had eight children, Melvin Jr., Loretta (Loretta Lynn), Herman, Jay Lee (Willie Lee), Donald Ray, Peggy Sue, Betty Ruth and Brenda Gail (Crystal Gayle). A rather musically inclined family I will have to say. 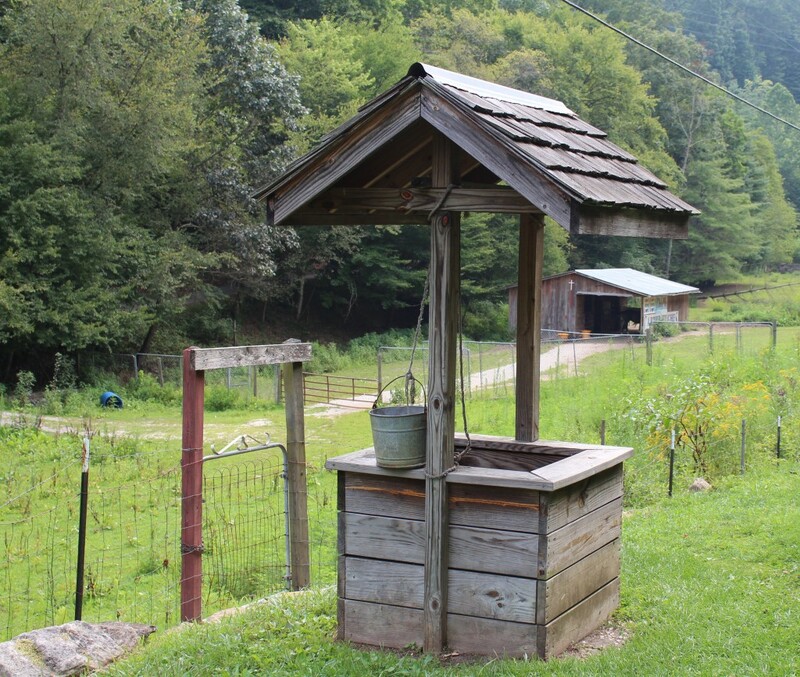 Herman Webb, a man in his 70’s, with white, wavy hair and Paul Newman eyes that sparkled when he laughed, sat next to me on the swing of the front porch in “Butcher Holler”. As the swing swayed gently back and forth, Herman started to tell stories. 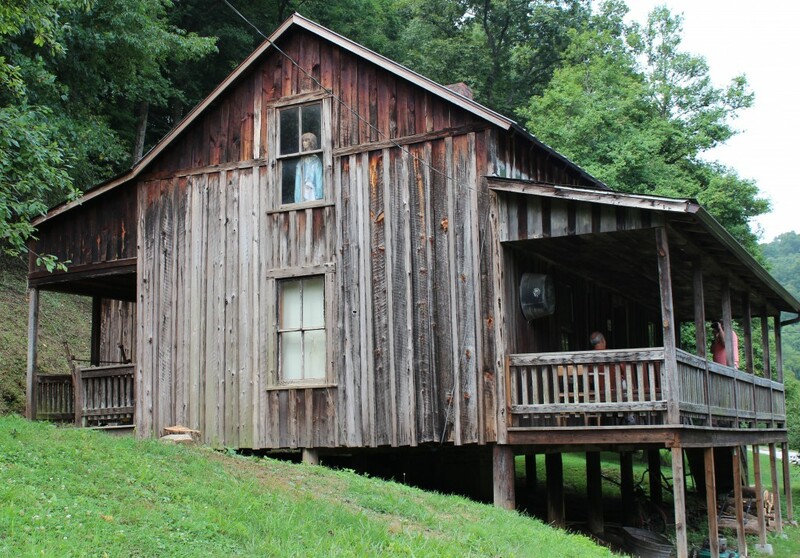 Melvin Jr., Loretta and Herman were born in a little cabin down the creek from Butcher’s Holler. The family moved to the house on the hill when Herman was an infant. This house was built in 1901 by Mr. Webbs father, and is right on the outskirts of Van Lear, Kentucky. 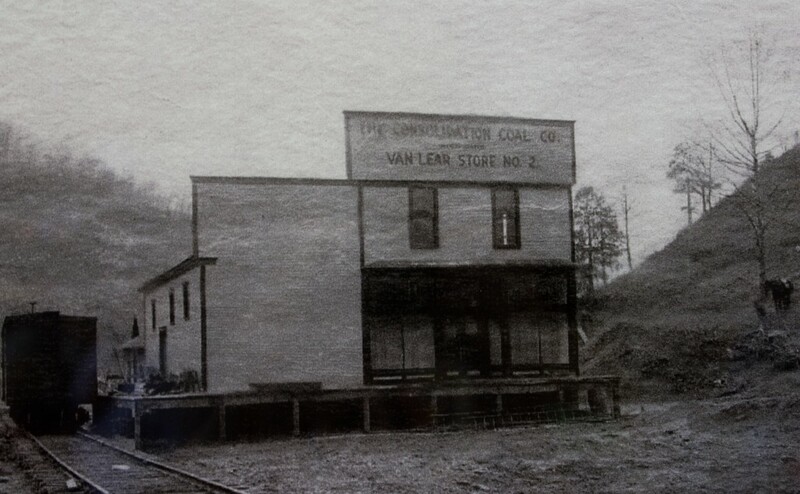 Van Lear was named after the director of Consolidation Coal Company, Van Lear Black, and during the coal mining days there was between 5,000 and 7,000 people in the town. There were five coal mines in the area. 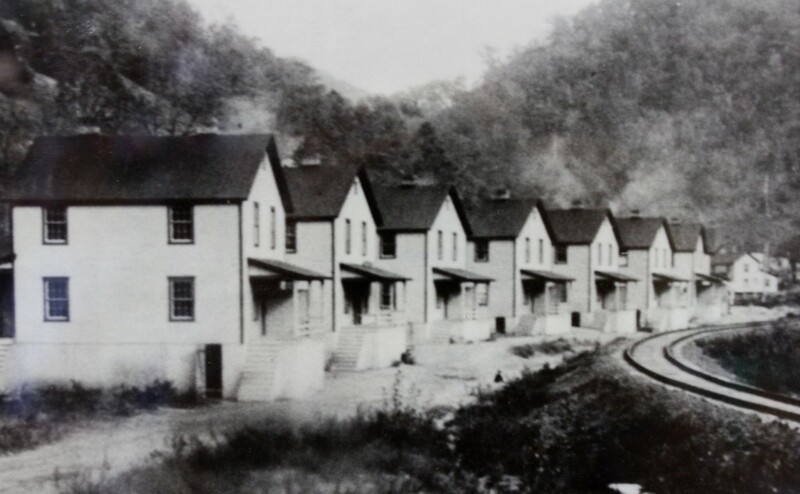 The “Company Houses,” where the workers lived, were owned by the men who owned the coal mines. These same men owned the water plant, power plant and the store where the coal miners bought their families food. Before the workers were paid, Consolidation Coal Company would deduct for rent, water, power and food, they didn’t want to take any chances on not getting paid. The meager amount, if any, that was left was given to the worker. The men usually took the money and got drunk. Essentially, the workers were slaves to the coal mine owners, and they couldn’t afford to leave. The coal mines were in operation 24 hours a day from 1910 through 1948. Herman met his wife, Patsy, when she started the second grade. “She had hair the color of a strawberry. I thought she was the prettiest thing I had ever seen, and I was gonna marry her,” Herman said. When the next school year came around Herman told the teacher he was in the third grade, just so he could be closer to her. Now THAT is love. In those days, the teacher would come to the school, ask you what grade you were in and then ordered your book. (Singular) There really weren’t any records. The school where ALL the children went. 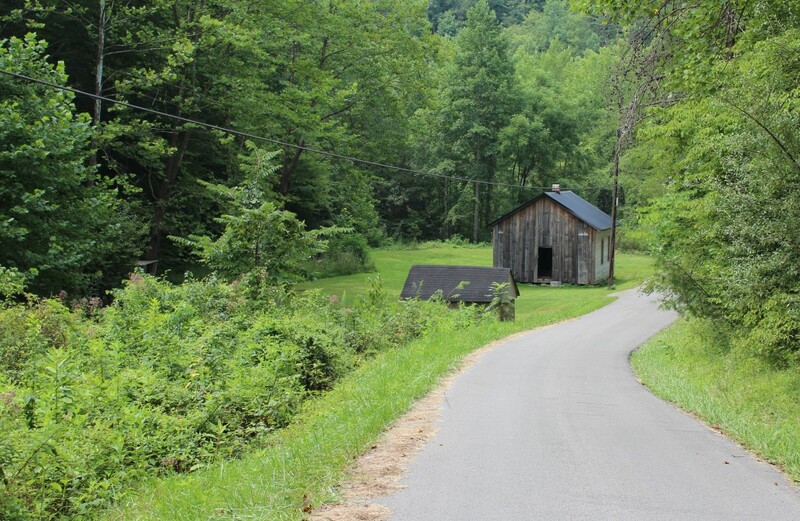 Herman would leave Butcher Holler in the summer to work, and return in the winter to drive Patsy to school. Patsy’s family lived one hollow over, and her daddy worked in the coal mines also. When Patsy graduated from high school Herman married her. 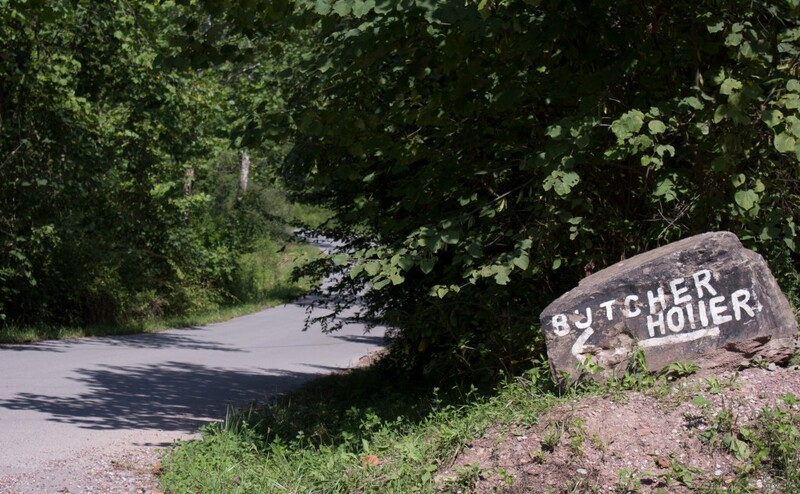 They spent their honeymoon night at Butcher Hollow, and the next day they moved to Indiana. 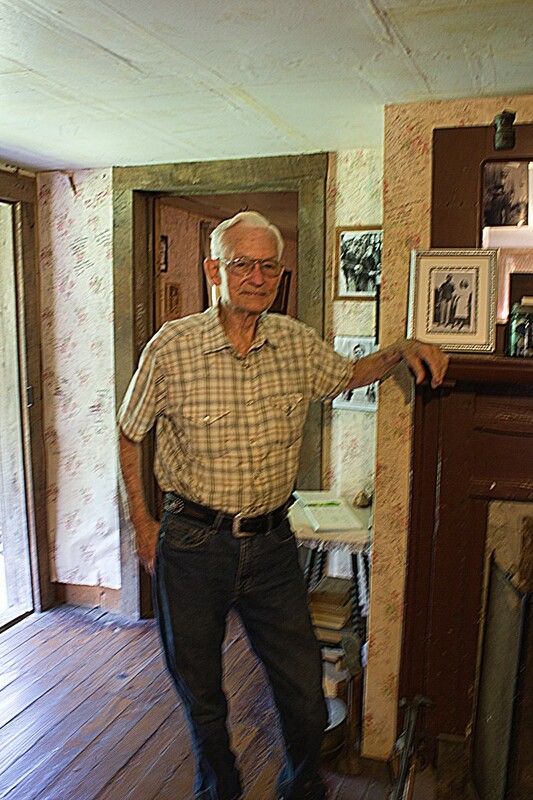 Melvin Webb, stopped working in the coal mines in the middle 40’s due to health reasons. He didn’t have a medical condition affiliated with coal mining, he had high blood pressure and a hole in his heart. Consolidation Coal Company wouldn’t let him work anymore. If Melvin died while in the mine, the company would have to pay the family $1,000. 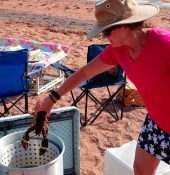 They didn’t want to have to pay, so they let him go. 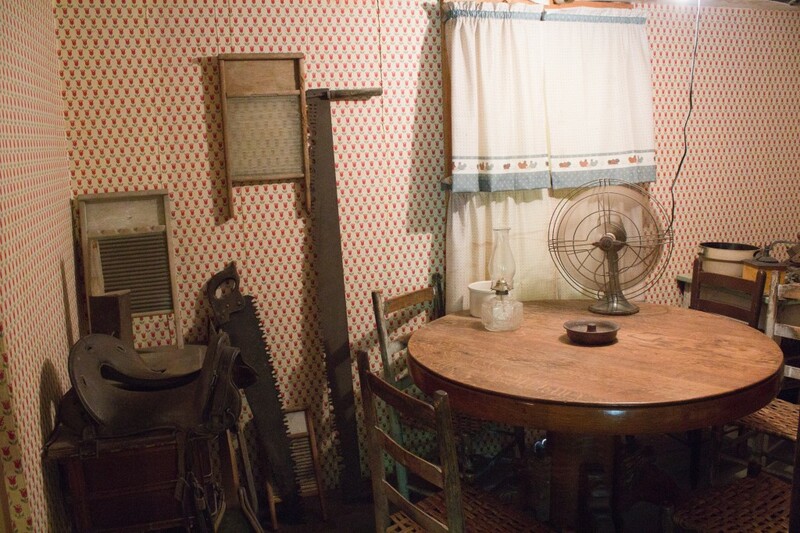 From 1948 through 1955 the family did what they could to survive, and in 1955 they moved to Wabash, Indiana. Melvin died in 1959. While in Indiana, Herman had his own band and played all over Indiana for 12 years. This is when Brenda Gail (Crystal Gayle) started to sing. At this time, a family drove up and wanted a tour. Herman got up, gave them a nice long tour, I took a couple of pictures for them and they left. Herman and I settled on the sofa in the front room of the house and continued our conversation. I asked him, “Who slept in this room?” Herman said, “It was for anyone that needed a place to sleep. Momma and Daddy’s room was right there and us kids slept upstairs.” “One time my teacher came and stayed for a bit and I brown-nosed him. I brown-nosed him” Herman said with a big laugh. This swing is the original swing that was on the porch. It now hangs in the parents room. 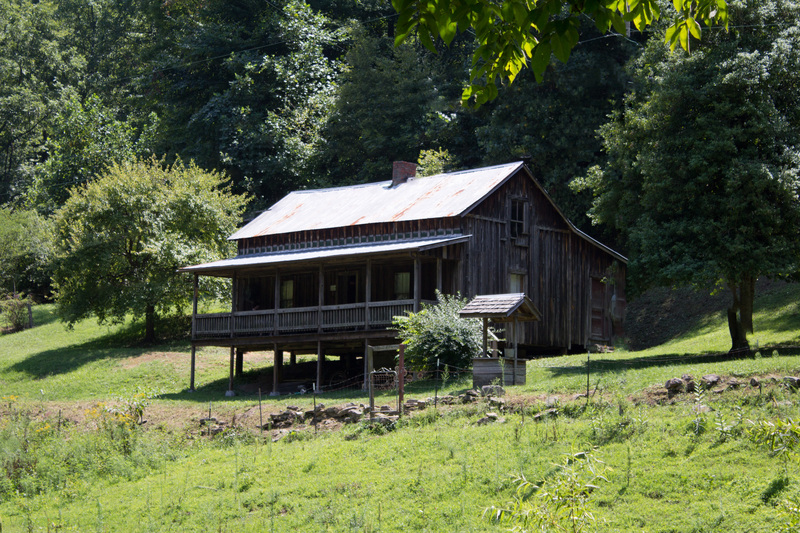 In 1975, Herman, Patsy and their children moved back to Butcher Holler. Herman bought the old “Company Store” where his daddy bought the family’s food, and they moved in above it. He said it was haunted. He heard doors close, pop bottles roll across the room and furniture move. One night, Herman heard glass breaking on the floor. “I jumped out of bed, grabbed my pistol and went downstairs. 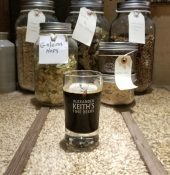 There was no one there, but all our dishes were out of the cabinet and broken on the floor.” Herman hired “Ghost Hunters” to check out the place. By 4:00 a.m. they left. There were ghosts there and they didn’t want to stay any longer. Herman moved his family soon after that. I asked Herman why he moved above the store and not back to his childhood home. Herman said, “One of my cousins was living here and the house was in bad shape. In 1986 I started to restore it.” The porch was supported by rocks. Stacked up rocks. He removed the rocks and put up posts, added electricity, and then, opened it to the public. Herman is very proud of his family, and he should be. The movie “Coal Miner’s Daughter” portrays a very poor family that didn’t have a lot. Herman said they had everything they needed and then some. “We didn’t know any better” he told me. 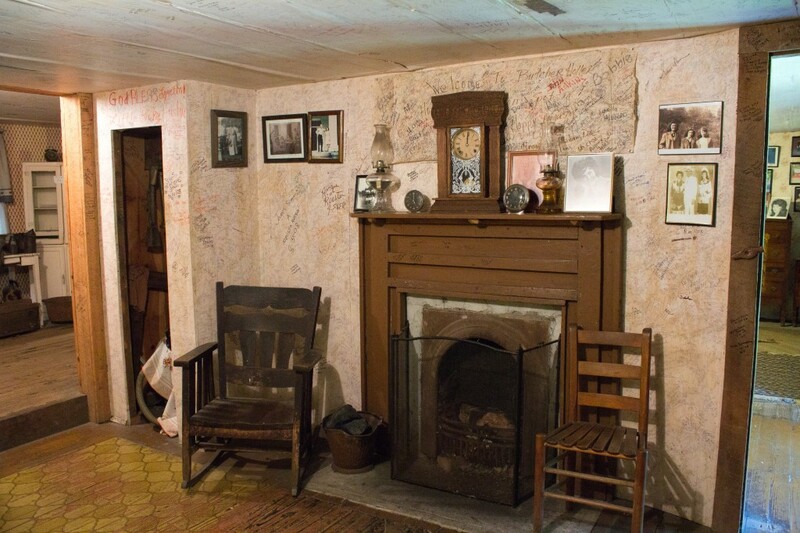 For a mere $5.00 Herman will give you a tour of the home he grew up in with his famous sisters and brothers and will even share some family pictures. I needed to get back on the road, and Herman needed to finish cutting the grass. I thanked him for his generous time and he told me to come back when I could. I already miss his sparkling eyes and infectious laugh. Herman standing next to a picture of his beloved Patsy. I will tell you now, Herman’s eyes sparkled like nothing you have ever seen when he spoke of his wife. Patsy died in February of 2006 from Lou Gehrig’s disease, and he took care of her the last five years of her life. I can’t imagine what it is like to have loved someone from the age of 8 onto your own dying day. This is something very few of us will ever experience, but all of us want. Out of small towns come mighty big things. Thanks Janie! I felt honored to talk with such a kind, sweet man. I leave for Texas on Sep 11 and will be there until November. 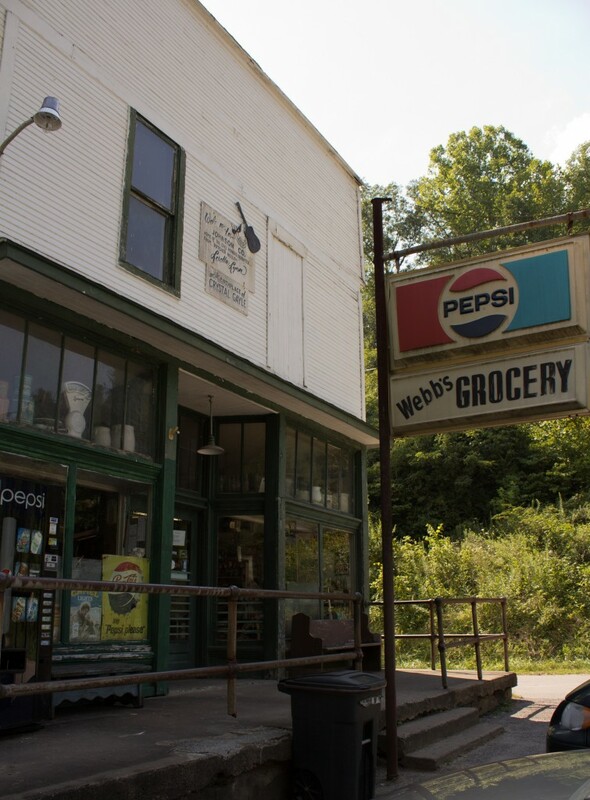 I really enjoyed reading this piece on Herman Webb and Butcher Holler. I’m a huge Loretta Lynn fan and I’ve been to Butcher Holler several times. 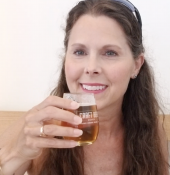 I enjoyed learning more about the old house and the history of it. Thanks for posting this ! I was very saddened to hear of Herman’s passing last year. Rick, I have often thought about Herman, he was a genuine, kind, and loving man. I did not know he had passed away, thank you for letting me know.